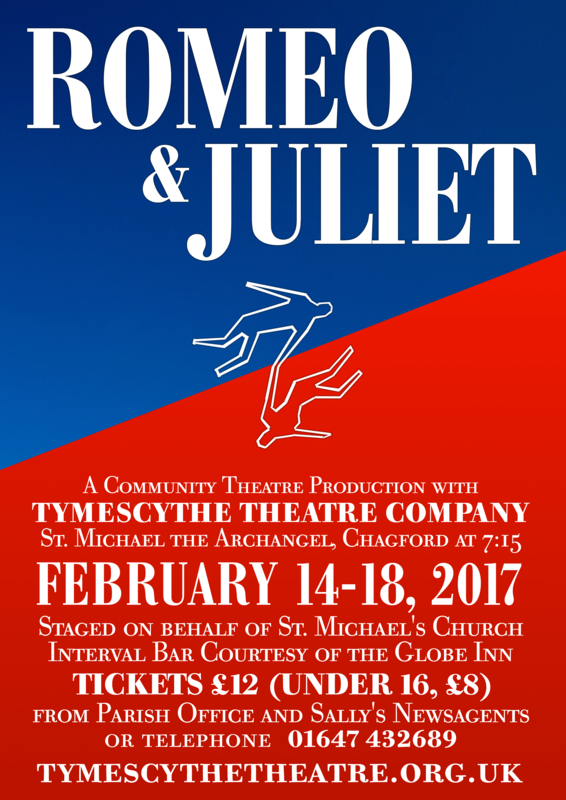 We have chosen Shakespeare's Romeo and Juliet as the next in a series of classic drama productions on the brilliant new purpose built stage in St. Michael's, Chagford. This much loved play has always been popular from its first staging around 1580. As one of Shakespeare's earliest works it bears many hallmarks of a new and young creative force inspired by his own romantic adventures. Here we have high drama, intense emotions, pure love and deep tragedy. Over the last years we have staged two very successful productions – The Tempest and a tribute to Shakespeare on the 400th anniversary of his death, Shakespeare on Love. Spectacle, colour and movement have been a large part of these plays and Romeo and Juliet demands even more of these elements. We hope you will join us! Click here for Tickets and Directions.